1. 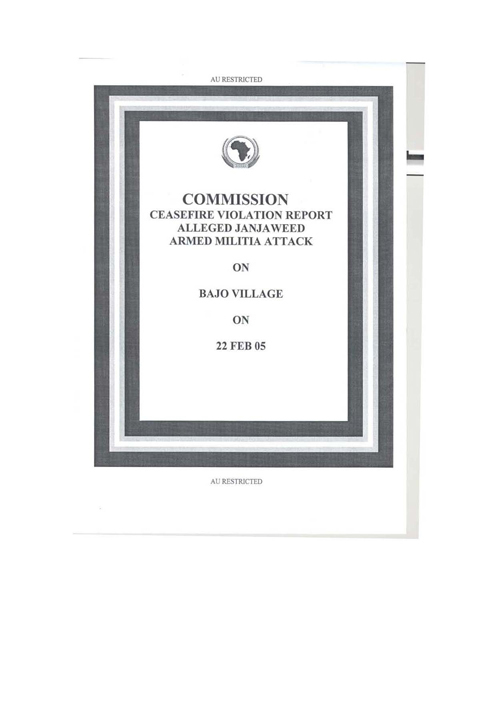 The villagers of Marla and Sani Afendu as well as three other citizens from Nyala and Sani Afendu, lodged three complaints with HQ Sector 2, alleging that GoS and Janjaweed/Armed Militia attacked villagers of Bajo, Marla, and Sani Afendu on 22 Feb 05. 2. 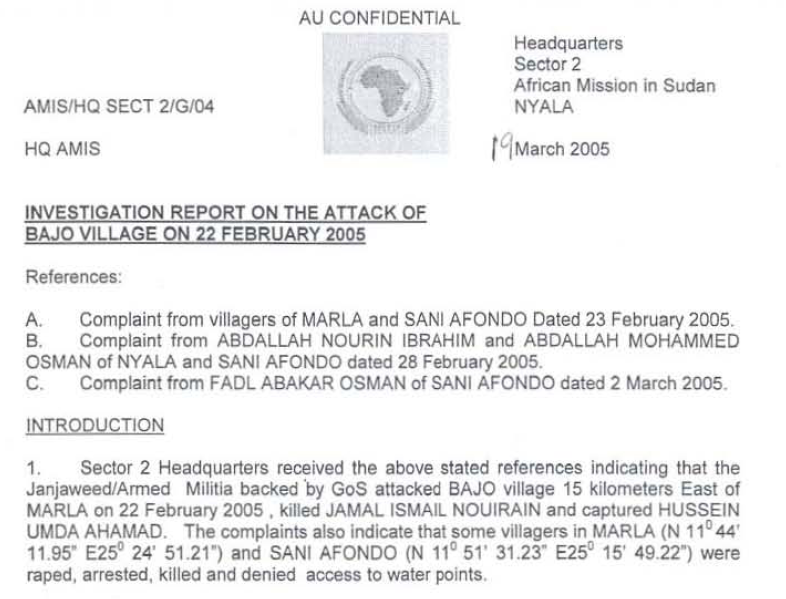 Team 2A commenced the investigation into the allegation on 02 Mar 05. 3. 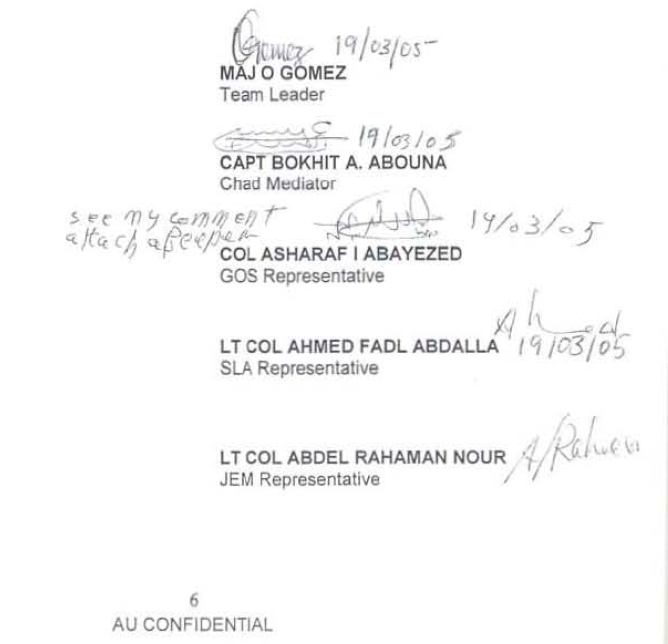 Team 2A established that a band of Zaghawa Urn Kamalti Janjaweed/Arrned Militia supported by GaS forces from Marla, attacked two shepherds who were collecting grass in Baja village on 22 Fen 05. One shepherd was killed and the other was arrested by the GaS military unit camped in Marla. 4. The attackers captured a G3 rifle and allegedly 2 camels, a watch and some money from the shepherds. 5. The team concluded that the Zaghawa Um Kamalti tribe is armed and used by the GaS to patrol Marla, Sani Afondo and its suburbs, subjecting some villagers to harassment and denying them access to water supply. 6. GaS violated Art 2(6) of the N’djamena Agreement and Art 5 of the Abuja security Protocol, by attacking the two shepherds during a joint patrol with its Janjaweed/Armed Militia. 7. GoS is aggravating tribal resentments when it patrols jointly with the Zaghawa Um Kamalti armed militias against other ethnic groups in Marla.